Based on the success of our Compression Dry Sack, we’ve made a lightweight version from 30D Ultra-Sil®. We retained all the clever functionality of the original compression dry sack, with all the lightweight touches of our Ultra-Sil® technology. 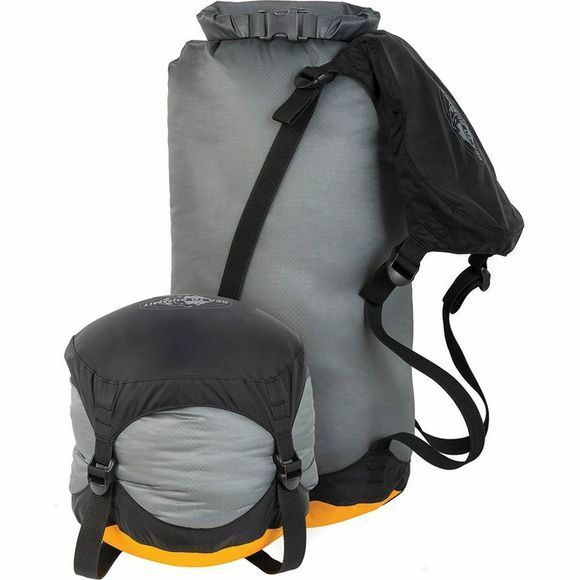 The Ultra-Sil® Compression Dry Sack compresses gear to one-third the volume while keeping it dry.